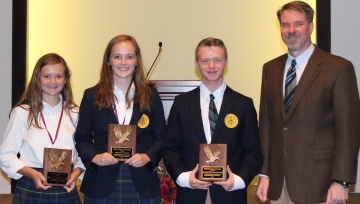 We are so thankful for the 2018 Regents Academy Eagle Award recipients, pictured below. What a great year of diligence and leadership. 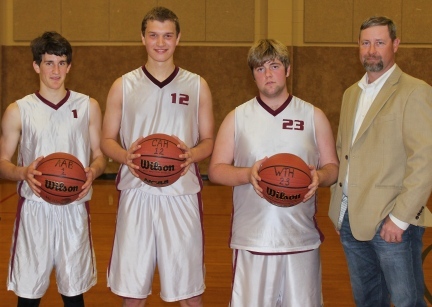 From left to right: Mary Kate Hill, Jake Hill, and Levi Wilson. 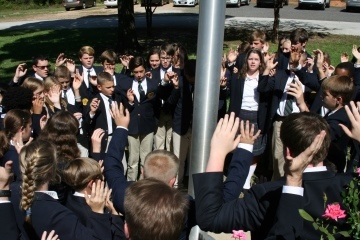 The 10th grade class, with their teacher, Mr. David Henry, recently completed their readings in the Ancient Greek period — such classics as Homer’s Iliad and Thucydides’ History of the Pelopennesian War. They celebrated their accomplishment by experiencing some Greek culture for themselves — food, costumes, weaponry, and, naturally, funeral games (Thor Anderson finished as champion). 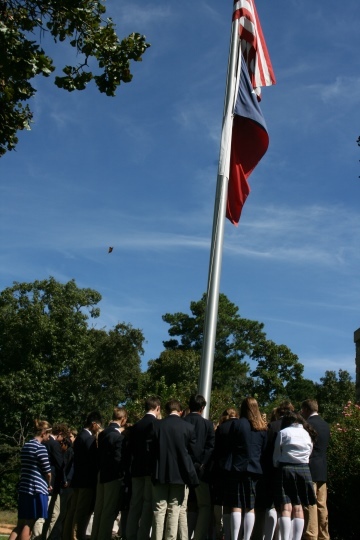 The Regents 9th and 10th grade classes traveled to Austin on February 15-16, 2017, to attend Nacogdoches-SFA Days at the Texas State Legislature. 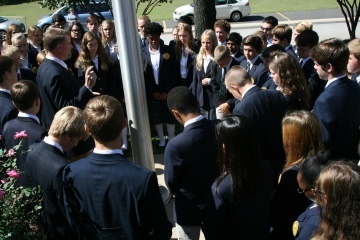 The students met State Senator Robert Nichols and State Representative Travis Clardy. The group also toured the capitol and visited two museums. This trip has become a tradition for Regents students, who study Government in the 10th grade and then are able to see government in action at a state level. We are so proud of our students, who represented their families and their school so excellently. The students are pictured below with their Government teacher David Henry, Regents parent and board Vice-Chairman David Alders, and State Rep. Travis Clardy. Appearing in the second picture below are Lance Vermillion and Kilyn James. 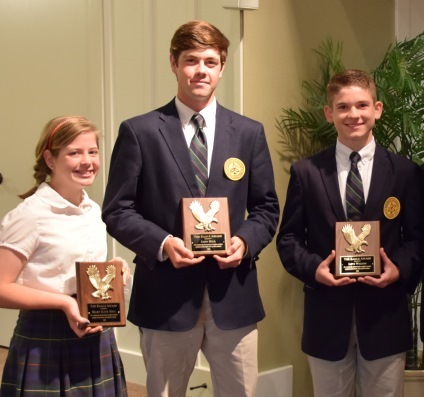 Congratulations to the recipients of the 2016 Student Eagle Awards: in the 5th-6th grades, Anna Claire Powers; in the 7th-8th grades, Abigail Powers, and in the 9th-12th grades, Luke Higginbotham. 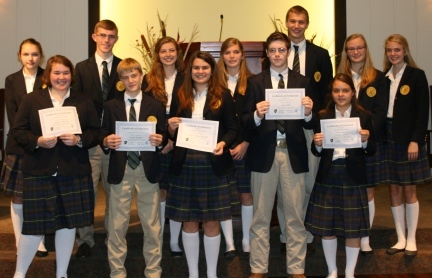 Nominated by their teachers and chosen by the administration, these students distinguished themselves by their exemplary conduct, academic achievement, and positive attitude toward school. We thank the Lord for them and for their families. (left to right) Lindley Bryant, Isaiah Bertke, Grace DeKerlegand, Jake Hill, and Avery Griner. “The fear of the LORD is the instruction of wisdom, and before honor is humility” (Proverbs 15:33). 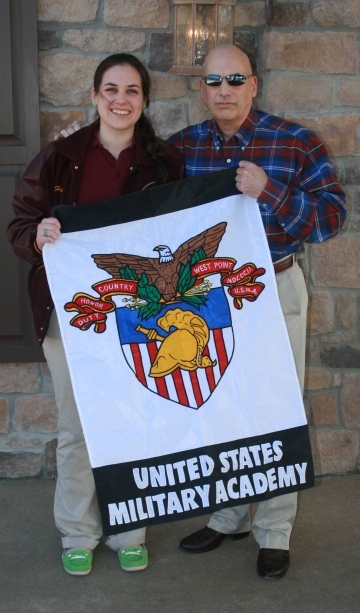 Huge congratulations go to Regents senior Haley Duke, who received the final word of her appointment to the US Military Academy at West Point last Friday. 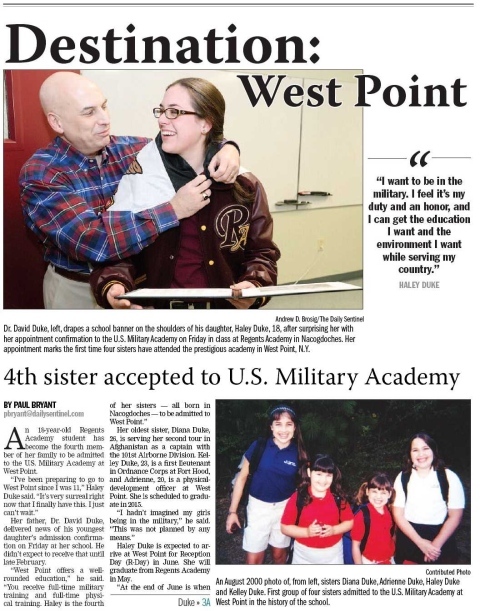 Haley is now the fourth of four sisters to attend West Point — a first in the history of this prestigious institution. 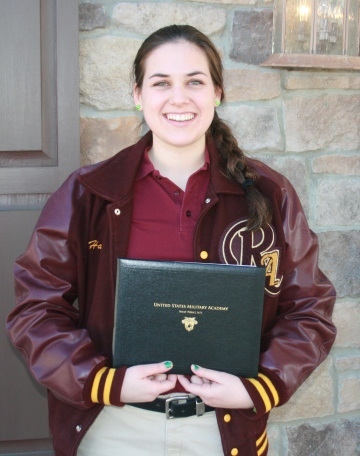 Two of Haley’s older sisters are also graduates of Regents Academy. Great job, Haley — we are very proud of you! 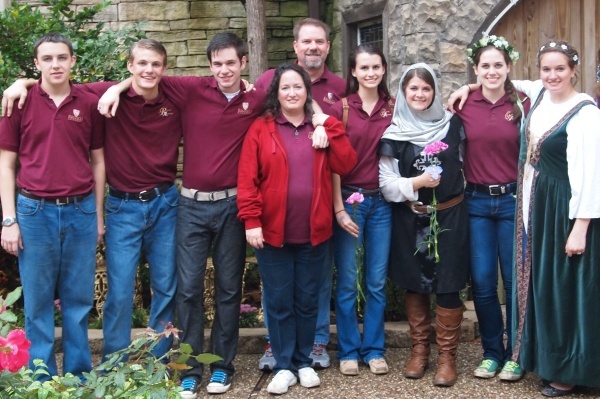 The Regents juniors and seniors, along with three of their teachers, took a trip to the School Days of the Texas Renaissance Festival, near Plantersville, Texas, last week. 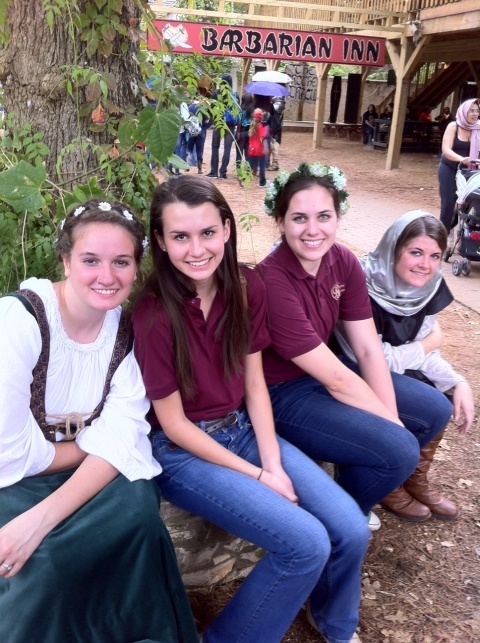 A day of fun with Renaissance food, costumes, and entertainment, as well as elephant rides and a nice afternoon downpour made it a truly memorable day. Since it was School Days (and therefore closed to the general public) we were able to enjoy the day without the distractions of alcohol and rowdy faire-goers. 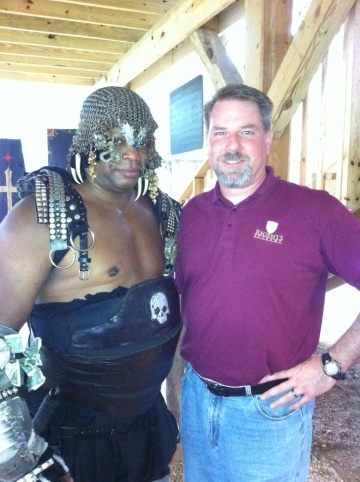 Yes, there were barbarians, too (can you pick him out?). 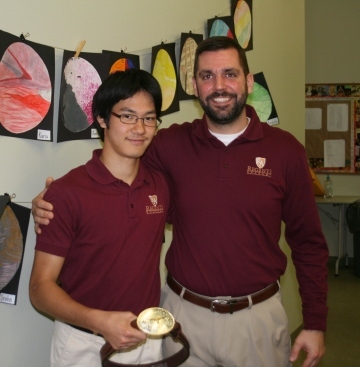 Regents recently said goodbye to its Japanese exchange student, Minoru Sumazono, who returned to his home in Tokyo. Minoru spent about 3 months with his new friends in East Texas, but it felt much longer since he so quickly became a part of our lives. 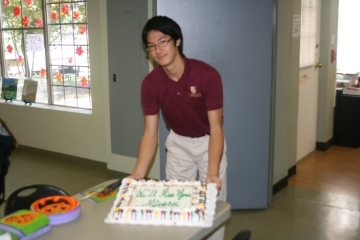 We said goodbye to Minoru with a party, a cake, a signed Regents yearbook, and a Texas belt buckle to take home. We will miss you, Minoru!